City home and country cottage available on one exchange! Get a taste for cottage country and city life in one trip! Come stay at our beautiful, lake-side cottage an hour outside Ottawa. On the same trip, you can also stay at our downtown, newly renovated, home. 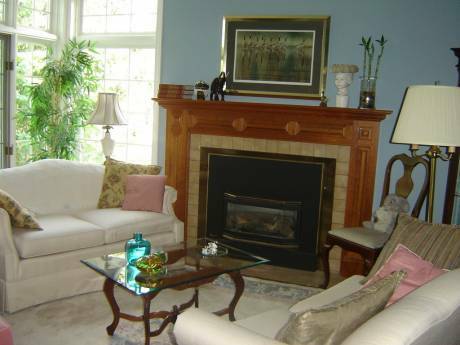 In both homes, we have a completely equipped kitchen, dining room, living room, 3 bedrooms. Our city house has a large, finished basement with recreation room and a laundry room with brand new washer and dryer. Our spacious, upstairs bathroom offers a big jacuzzi bathtub. Both homes have toys and equipment for young children. We have private yards with gardens, and BBQs. The cottage is just steps from the lake. It's a very large, fresh water lake with great fishing and swimming right off our dock. We have bikes, a kayak and a canoe available for your use. Our city home is on a quiet street...Directly across from our house is a large park with a children's pool and activities. Our home is just footsteps from the beautiful and historic Rideau canal...and kilometres of biking/roller blading/running/walking paths. The canal offers boat tours from early spring until late fall, and ice skating from January until early March. 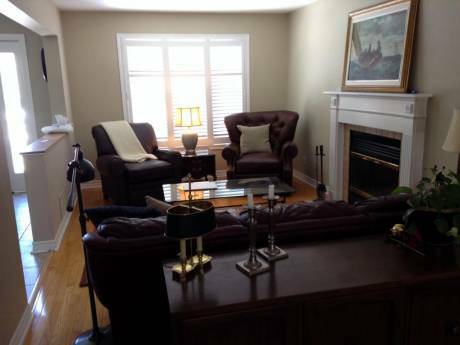 Our downtown Ottawa home is just 2 hours from Montreal and 4.5 hours from Toronto. (by car or train) The cottage is on Otty Lake (near Perth Ontario), exactly one drive hour from our home. My name is Julie. I'm a reporter (TV/radio) for the Canadian Broadcasting Corporation. My husband, Peter works for Hewlett Packard. We have two young children, Nathaniel (2005) and Maggie (2007). We both love the outdoors and sports such as soccer, hockey, hiking, biking, running, swimming. Our home/neighbourhood offers a nice mix of the urban conveniences, but lots of open, green space to spend time outdoors with our kids. We've done a lot of travelling (Europe, Asia, New Zealand, USA) together over the years. We had a very successful house exchange to France in March 2006 and look forward to many more. Given we have two homes, we are open to non-simultaneous exchanges. 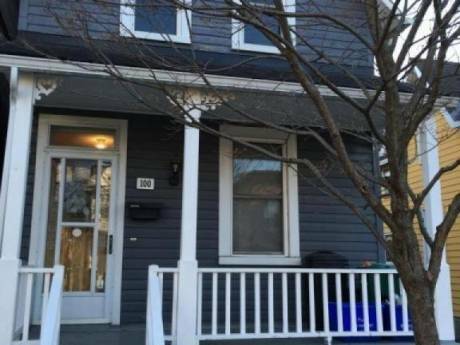 Our home is in an old, historic, upscale Ottawa neighbourhood called the Glebe. It's an urban neighbourhood with a village feel. We're just a couple blocks (very short walk) from fine restaurants, bakery, clothing stores, food shops, bank, groceries. Ottawa's Junior A hockey arena is one short block away. In May, Ottawa hosts its internationally renowned Tulip Festival...which features thousands of beautiful tulips gardens. For the first 3 weeks in February Ottawa's Rideau Canal is the venue for the city's winter festival, called "Winterlude". The festival includes ice and snow carving contests, food festivals, musical entertainment, and of course, skating on the canal.